Silver Lake has always had an indie vibe and creative influence. Located just north of downtown LA, it’s where Walt Disney built his first studio in the 1930. If you drive up the narrow streets that snake up and down the hilly terrain, you'll discover iconic modernist houses designed by the architectural giants like John Lautner, Rudolf Schindler, Richard Neutra, and Frank Lloyd Wright. It’s been the home to many well-known, as well as struggling, musicians, screenwriters, directors, and artists. The neighborhood is going through a transformation. It's becoming more glossy and less seedy, and getting their first Whole Foods. But don’t let gentrification stop you from exploring. Here’s where the local pros suggest you visit during your 24-hour stay in Silver Lake. Grab a coffee and hang out on the tiled patio. They have a small selection of pastries to pair with the coffee. 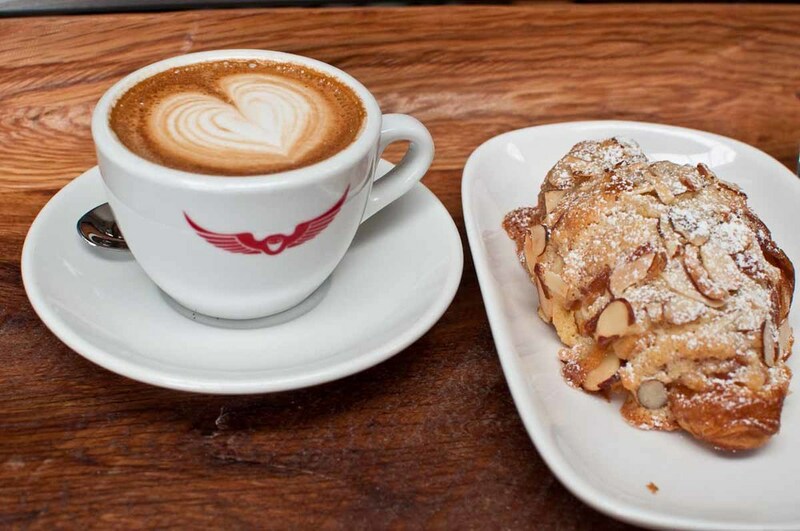 "Intelligentsia coffee is awesome and I like this one in Silver Lake a lot. Whenever I’m in this area, I always get coffee here." Earned a loyal following with the serious coffee crowd as it was one of the early adopters to use pour-over cones and siphon filters. In addition to coffee and tea, they also serve a fairly extensive food menu along with wine and beer. "Everyone knows about the espresso culture of Intelligentsia and Stumptown, but I think LAMILL has a really great coffee program. It’s enlightened me about coffee, the brewing, and the patience of it and the different extraction methods. But then, it doesn’t feel so cerebral." The California-born jam-maker Jessica Koslow previously worked at the James Beard award-winning restaurant Bacchanalia in Atlanta doing pastry. She returned to California pursuing her passion for the range of local produce. She continues to make her jams, but also makes breakfast, lunch and dinner for a hipster-leaning crowd. "Zack and Jessica do great work. Sorrel Pesto Rice Bowl with sausage and egg, Hazelnut Butter and Jam Brioche Toast." "The toast is like a three inch brioche with ricotta and jam. It's delicious, beautiful to look at, but it is like a bomb." A former gay bar turned tavern that was raided by the cops in the mid-60s. Under the current ownership, they are open for all meals, including breakfast and brunch, and offer valet parking, a mix crowd, and a notable burger. "They make an outrageous Biscuits & Gravy... yummy with a Bloody Mary or a shot of Mezcal." "One of my favorite shops and a haunt for local mixologist on the hunt for specialty ingredients. Bronwen Tawse carries organic spices and salts with no artificial preservatives. The products can be purchase in grams, making it easy and cost effective to sample." "Their spice blends are phenomenal, always new and interesting." This general store sells artisanal goods and spices, vintage kitchenware items and coffee. "This place is great. They have an amazing selection of home goods, snacks, and wonderful coffee. Fine folks, to boot. " Serving elevated comfort food dishes like mac n' cheese, fried chicken, meatloaf, and chicken pot pie. They have daily specials and make whatever they can from scratch including stocks, dressings, and sauces. "They have really good fried chicken and it’s really inexpensive. It’s homey food, like meatloaf and pork chops and mashed potatoes." A Taiwanese-Chinese restaurant sourcing seasonal produce from their family's local Asian vegetable farm. "Order the Beef Roll, the Spicy Peanuts with garlic, and the Spicy Shrimp Wontons." Owned by baker Valerie and her husband Stan, they have three locations serving chocolates, petit fours, cakes, pastries, preserves and tea. This is their original boutique. "Valerie really knows flavor and texture really well. Her Durango cookie is perfect. It has almonds, chocolates and salt and it’s buttery, a little chewy and crystal on the edges. It’s the world’s most amazing chocolate chip cookie, but instead of walnuts she uses almonds. Her petit fours are dense, buttery, moist and chocolate on the outside." They call themselves a head shop for alcohol lovers, they carry unique small batch spirits, vintage barware (much of it used for TV's Madmen), over 150 bitters and syrups), and professional grade bar tools and glassware. They also have a vast selection of Absinthe fountains, glassware, and spoons. "It's like a bar loving candy shop. They have a great spirit selection and everything you would need for your home bar or toys for your business. It's also a go-to when I need gifts for all my booze and wine loving friends. Great vintage barware too." "A great little store with an incredible spirit selection, as well as tools, toys, bitters, antique glassware, and some beautiful punch bowls." "This place is like a cocktail enthusiast's dream. They have their own line of bitters, hard to find liqueurs like Salers Gentiane, Cocchi Americano, and Becherovka, plus the equipment needed to turn yourself into the next great Mixologist." "This is a one-stop shop for all your cocktail, glassware and spirit needs. "For bar tools, antique glassware, craft/artisanal spirits. Ask for Joe. He is a great man and a pioneer for the Los Angeles cocktail movement." Specializing in boutique, small production wine from around the globe and an eclectic selection of spirits, microbrew beer, and sake. "I love visiting Silverlake Wine because they always have an interesting and fun selection and the people who work there are insanely knowledgeable." "They always have a great selection and the owners and staff really know their wine, so take their recommendations!" "They serve really special cocktails. While the cocktails are unique, they aren't so complicated that they are confusing. Cliff's Edge has no signage... so one must know its location." This is mecca for Tiki lovers and one of the most famous of its ilk in the country. Bartender Ray Buhen opened the small joint in 1961. He learned his craft at Don The Beachcomber's, the first and most glam of the Tiki watering holes. His sons and grandsons are carrying on the tradition mixing his full repertoire of 86 different drinks. The bar is closer to Los Feliz, but worth checking out. Note: it's cash only. "They've been here since 1961 and it’s a must visit. It’s family-run for three generations and the founder of it, Ray Buhen, was one of Don the Beachcomber’s first bartenders at the birth of tiki. It’s basically a direct descendant." "You can just feel the history in the walls. Mind you, some of that history is just layers of nicotine covered with layers of shellack but, well you know. They use the cheapest ingredients and make magic with them." "They have incredible tiki drinks. It’s really small with about twelve seats at the bar and maybe four tables. There’s always a huge line to get in, because it’s the only bar in California where you can smoke, due to the loophole in the law. They still use all the original tiki recipes and know how the drinks were actually made." Chef Zach Pollack, who is also co-chef and co-owner of Sotto, makes rustic Northern Italian meets Southern California fare with house-made pastas, smoked pork shank, roasted snapper, and a dish he calls 'Pig in a Blanket,' which has braised mortadella with fermented turnip and stracchinata cheese. "Their chicken sandwich is something of dreams and they have Grüner on tap." “On the weekends, they stay open until midnight and after a long Saturday night service, nothing makes me feel whole again like Chef Zach’s pasta." "Good food and perfect for the neighborhood. It is a great neighborhood place to eat with family and friends." The Silver Lake outpost of chef Kris Yenbamroong's Night + Market. He is serving the same Thai street food that he has become renowned for at his first Night + Market location. "Order Green Papaya Salad and Larb Pla Duk (Catfish Larb)." "I love everything on the menu from top to bottom, hands down." "Chef Kris Yenbamroong is creating street Thai food dishes that are out of this world. The food is known for being spicy which is why ordering a large Singha beer is a must. The Chiang Rai Style Pork Larb and the Larb Gai are my favorite dishes." "Kris Yenbamroong is a very talented chef and makes some of the best Thai food I’ve ever had. He's also a true wine lover." A seafood house in the heart of Silver Lake where you'll find lots of oysters on the menu, served raw, in po'boys, grilled, Casino, and Rockefeller. They also serve fish and many other mollusks and crustaceans. "Come here and order a dozen raw oysters." Breakfast, lunch, dinner and cocktails at this Italian-American restaurant redone to feel like an old school neighborhood joint. From the same owners as 101 Coffee Shop and Dominick's. "Excellent food with a great bar, but with a tiny footprint of a bar within the restaurant." A dark and moody neighborhood cocktail bar with leather banquettes and a big singles scene. On weekends, the cash-only Barbecue Pit Stop sets up in the parking lot from about 9:30pm until 2am. Recommended by bar curator Joe Keeper of Bar Keeper, "The Greenbar Collective distills, ages, and bottles variety of delicious spirits. My favorite is the Grand Poppy." People wait in line to eat at jammaker, chef, and restauranteur Jessica Koslow's Sqirl. Recommended by chef Spencer Bezaire, take home one of her sought-after jams made with farmers market fruits. "Los Angeles is blossoming with locally-made spirits," says Joe Keeper. "Chareau is an Aloe Vera liquor formulated in Silver Lake." VINYL | Origami Vinyl Record Shop. MURAL | Elliott Smith Memorial Mural. ARCHITECTURE | Silver Lake Neutra Architecture Tour. RESERVOIR | Silver Lake Reservoir. 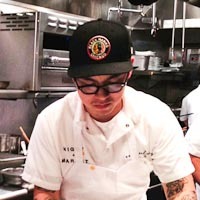 Executive chef and owner of Night + Market, Night + Market Song in Los Angeles & Silver Lake, CA. Executive chef and co-owner of L & E Oyster Bar, El Condor in Silver Lake, CA. Executive chef and owner of Kogi, Chego, Alibi Room, A-Frame, Sunny Spot, 3 Worlds Cafe, L.A. Son, POT in Los Angeles, CA. Executive and pastry chefs/co-owner of Bestia in Los Angeles, CA. 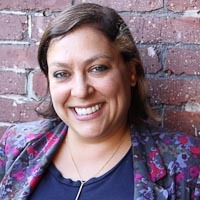 Executive chef and co-owner of Willie Jane in Los Angeles, CA. 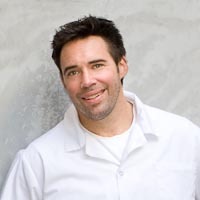 Executive chef and owner of The Hungry Cat in Los Angeles, Santa Barbara, CA. Chefs and co-owners of Republique, Petty Cash in Los Angeles, CA. Executive chef formerly of Hinoki & the Bird in Los Angeles, CA. Executive chef and owner of M.B. Post, Fishing with Dynamite in Manhattan Beach, CA. Owner and curated of Bar Keeper in Silver Lake, CA. 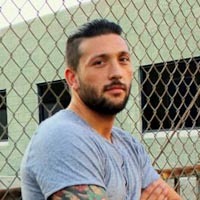 Barman and co-owner of Proprietors, LLC in Los Angeles, CA. Bartender and Co-Founder - Vice Food & Beverage Ltd., Picnic LA, and Top Round Roast Beef in Los Angeles, CA. Head bartender at The Varnish in Los Angeles, CA. 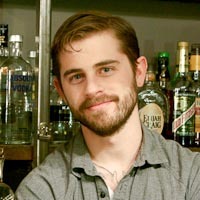 Head Bartender at Hinoki & the Bird in Los Angeles, CA. Head Bartender at Willie Jane in Los Angeles, CA. Sommelier, Wine Director & co-owner of A.O.C., Lucques, Tavern in Los Angeles, CA. Sommelier formerly of The Must in Los Angeles, CA. Bartender and owner of Smuggler's Cove in San Francisco, CA. Bartender and owner of Hale Pele in Portland, OR. Bartender and Oracle of Tiki in Boston, MA.